The Hawks led by as many as 17 before Detroit’s late rally and won their third straight to improve to 9-23. Alex Len had 15 points and a season-high 17 rebounds, while Vince Carter scored a season-best 18. “Blake and Andre both had a lot of missed shots, and we were able to grab them and score on our own misses,” Len said. 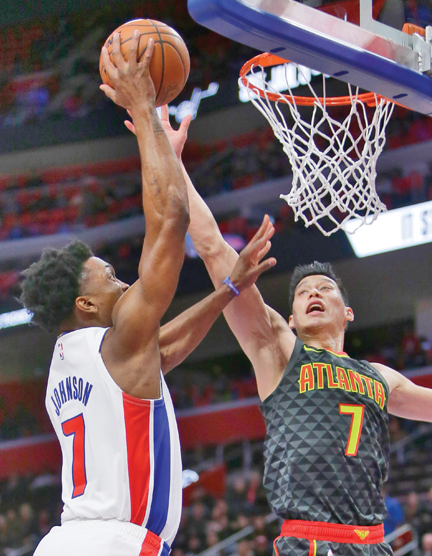 After Griffin’s misses, Jeremy Lin hit two foul shots to stretch the lead, Reggie Jackson dunked for the Pistons, and Lin hit two more free throws to make it 96-93. Galloway missed a layup, and the Hawks locked it up from the line.